1 Rinse nectarines and wipe dry. Remove about half of the peel from 1 nectarine in wide strips with a peeler and reserve for garnish. 2 Halve all of the nectarines, remove pits and coarsely chop. 3 Rinse sorrel and spin dry. 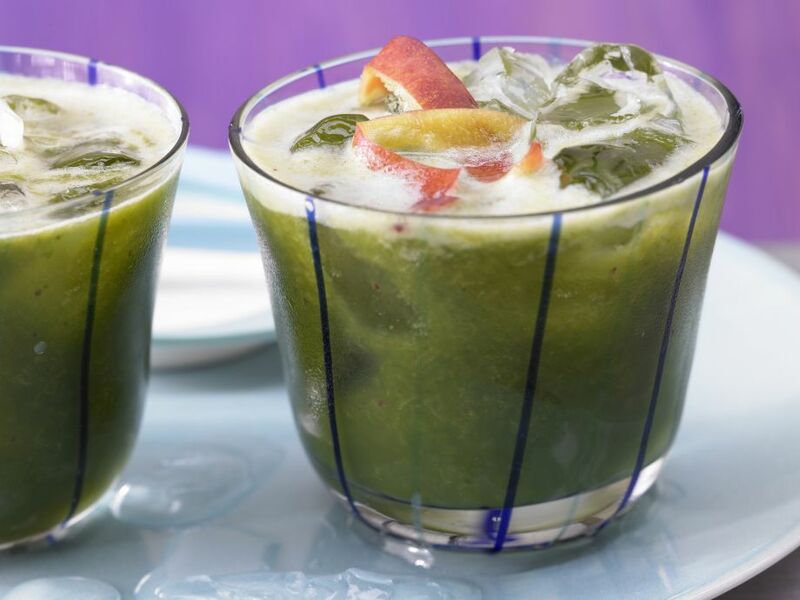 4 Extract the juice from the nectarines and sorrel in a juicer and pour into a serving glass filled with ice cubes. Garnish with reserved nectarine peel and serve immediately.